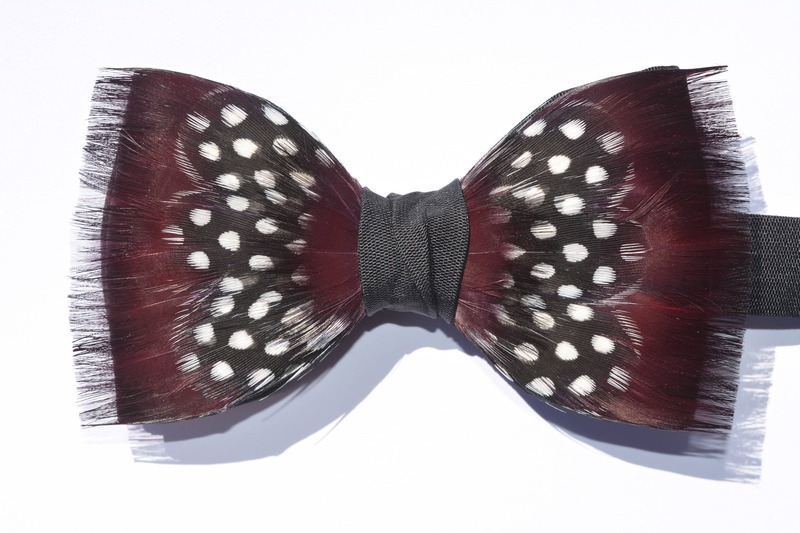 MARLI Pheasant & Guinea fowl feather bow tie. 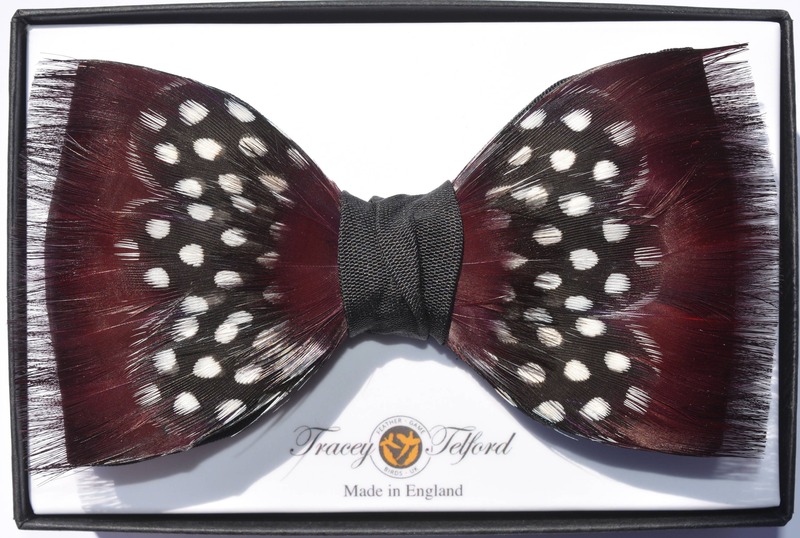 Funky, red wine, claret, burgundy colour feathers matched with black and white spotted feathers and set on a black quality black 100% silk bow tie. All handmade. You can choose a different colour fabric base, use the drop down menu. We have matching lapel pins, feather pockets, wrist corsages, hair clips, bridal bouquets, fascinators, and hats. If you can’t see them in the shop press the custom order button. 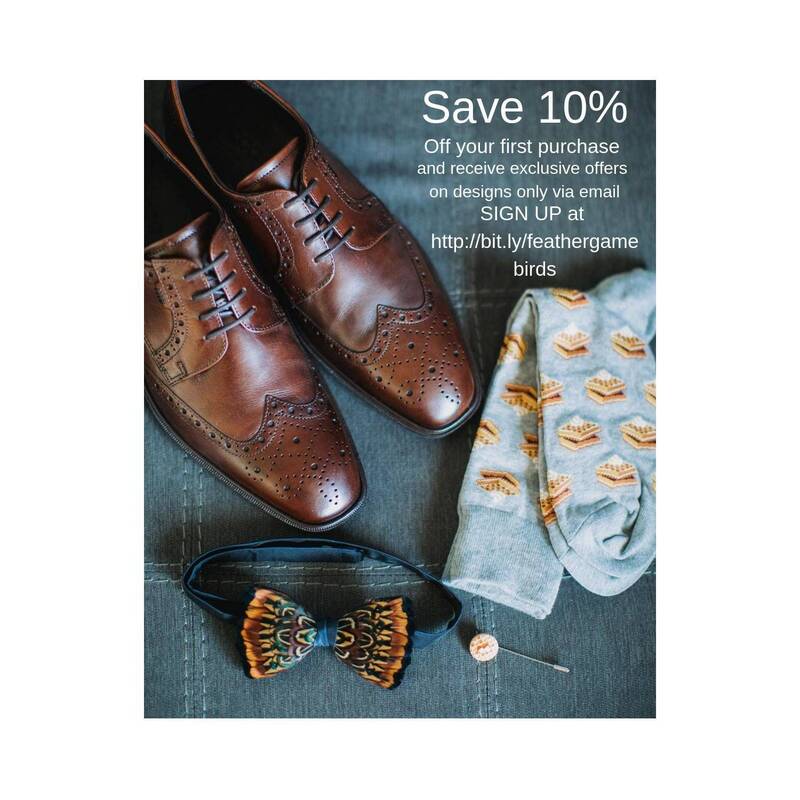 Everything in our shop is handmade in England, UK. Your item will arrive in a beautiful wooden roll top keepsake box. You can request engraving by using the drop down menu and see the section “How to Order” below for engraving options.